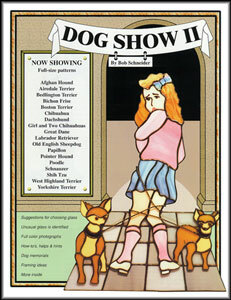 Includes patterns for Afghan Hound, Airedale Terrier, Bedlington Terrier, Bichon Frise, Boston Terrier, Chihuahua, Dachshund, Great Dane, Labrador Retriever, Old English Sheepdog, Papillon, Pointer Hound, Poodle, Schnauzer, ShihTzu, West Highland Terrier and Yorkshire Terrier. Includes suggestions for choosing glass, full color photographs, how-tos, hints, and framing/display ideas. 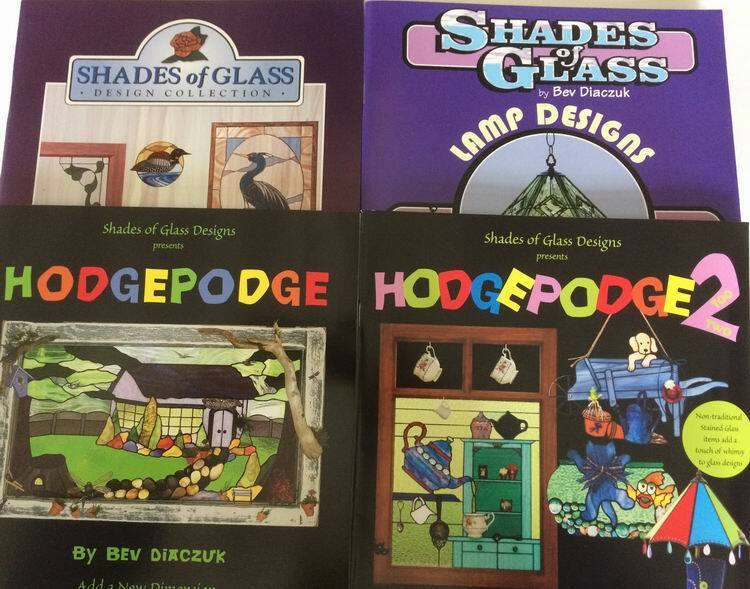 Great new book that adds a new dimension and a touch of whimsy to stained glass designs & panels. Incorporates agates, bottles, rondels and many other interesting items. 51 full-size patterns based on the official state bird of each state, and District of Columbia. All are shown finished and in color. Tips on how to alter the patterns with backgrounds, bevels, borders, and more. Also; how to add detail to the original design using solder, wire and even paint. 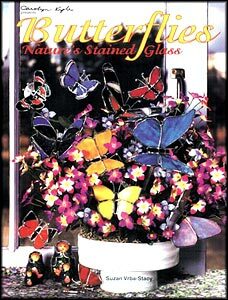 Here's a wonderful book of stained glass frames for photographs. Includes full-size patterns for 19 different designs. You'll find frames for many occasions and holidays, including Christmas, graduation, wedding, kids, and even the family pet. All projects are shown finished and in color. Detailed instructions also included. Includes 16 full-size patterns, many feature straight line bevels. Projects vary in difficulty to please both beginners and professionals alike. Bev Diaczuk - Refreshing and creative ideas of incorporating found items into stained glass projects. These whimsical projects include lampshades with real rubber boots, window frames with stained glass and teacups, goldfish bowl with nuggets and plenty more. Great fun!! 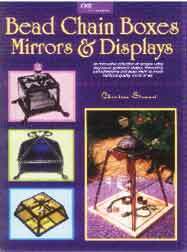 Christine Stewart- An innovative collection of designs using easy to cut geometric shapes, interesting accents and bead chain to create artistic boxes, mirrors, display cases. 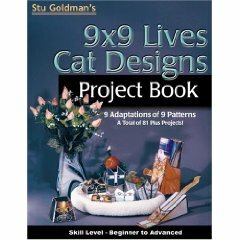 There’s full-size patterns for 24 projects with color pictures and plenty of instructions. A unique collection!. Windwatchers Two takes the weather vane experience even further. 17 new designs include a frog, iguana, fox chicken, wolf, flying pig, horse, elephant, etc. Complete GLASS CLASS instructions and materials lists for all projects. 20 new full size patterns for stained glass candle-holders are contained in this book, many of which feature straight line bevels. The projects vary in difficulty to satisfy the beginner and professional alike. Basic construction techniques are outlined in the GLASS CLASS section. Each pattern is supplied with all the information needed to construct the project. A lovable cast of animal characters, mostly full-size patterns. Each lion, giraffe, parrot, panda, etc. has its own humorous personality. 36 pages, 4 in full color. 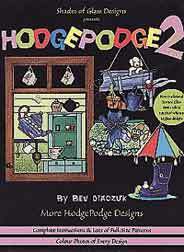 This 4 pack of books & patterns by Bev Diaczuk is a great deal by one of our favorite authors. Full of patterns, ideas and wonderful pictures. 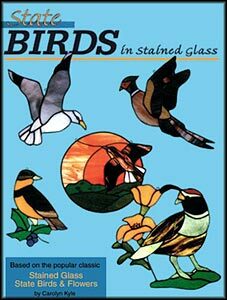 Shades of Glass Design Collection - Panels & Suncatchers with Floral, Wildlife, Marine Life & Whimsical ideas. 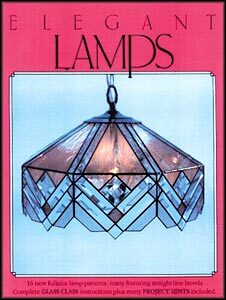 Shades of Glass Lamp Designs - Accent lamps, Table Lamps, & Beveled Lamp designs.